Swedish solo skipper Bjorn Bertoft has started his challenge to sail to seven countries around the Baltic Sea using just the power of the sun, wind and water. During his 2,000-mile 100 Sun Wind Water adventure aboard his 34ft Smaragd, Johanna, Bertoft will be sailing with young environmentalists, and gathering data on microplastics in the ocean, water visibility and surface water conditions for the University of Gothenburg. He will also be monitoring the performance of Johanna’s electric engine, which is being run by two lithium Torqueedo batteries. The removal of Johanna’s diesel engine and fuel tank means the yacht is much lighter. Bertoft also modified the hull, deck and the interior to strengthen and repair the 27-year-old yacht, and invested in new rigging. There are no cabins, indoor shower or electric water pump down below. Instead, LED-lights have been installed, as well as a fridge and navigation equipment. He has also invested in a solar oven cooker, which uses only sunlight to boil water or cook food. Bertoft, who left Oslo on 5 June, said his ‘mission is to create awareness amongst sailors’ about environmentally friendly sailing. ‘I hope it can be a wake-up call for boat people in general and sailors in particular. We sailors are wind lovers. 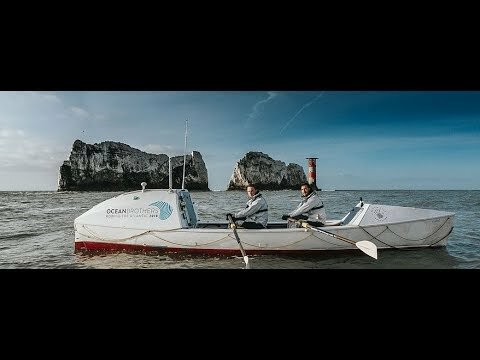 We should be in the absolute front of the fossil free lifestyle on water,’ he stressed, adding he also wants to raise awareness of climate change and the United Nation’s 2030 Agenda for Sustainable Development, which advocates the ending of extreme poverty and the protection of the environment through sustainable consumption and production. Bertoft also has another, more personal, reason for 100 Sun Wind Water: his two children were born and raised on Johanna, which he sold and has subsequently bought back and renovated. ‘I argue that my generation owe it to the next generation to pay the cost for the changes necessary for us and them to switch to a sustainable lifestyle. So, as a start that affects my everyday life for moral reasons, I’ve decided to devote my next 50 years for the sake of the young generations,’ he stated. The 57-year-old, who has raced and cruised extensively in Norway and Sweden, is aiming to reach his final destination – Stockholm – by the end of August.